Firstly, are Seiko dive watches any good? So what make them a good choice? Based on hundreds of customer feedbacks, and my own experiences, I’ve come up with a list of the best Seiko dive watches that are worth your hard-earned money. They are both functional as a scuba dive watch and stylish as a fashion accessory. Hope that my unbiased reviews will save you some time in your searching for a good dive watch. Here we go! Seiko dive watches are dominating the market today, and this is for a good reason. Their dive watches have been around and developing since the 1960s, a lot of technologies have been developed since then! 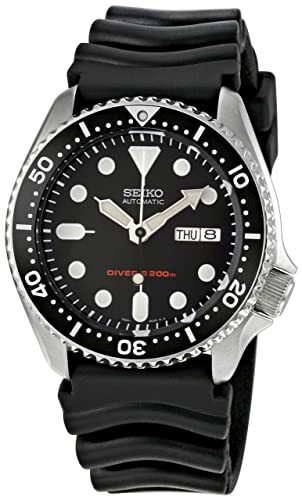 For this post, I’ll be focusing on the most popular classic automatic series such as the SKXs, Turtle, Sumo, and new Seiko dive watches which fall into the category of solar & kinetic. If there’s something you should know about Seiko, it’s that they take their craftsmanship very seriously. Japan even has a museum dedicated to promoting the history and craft of Seiko timepieces. Backed by 50 years of dive watch innovation with continuous research and development, they have become a giant in the craft of diving pieces. 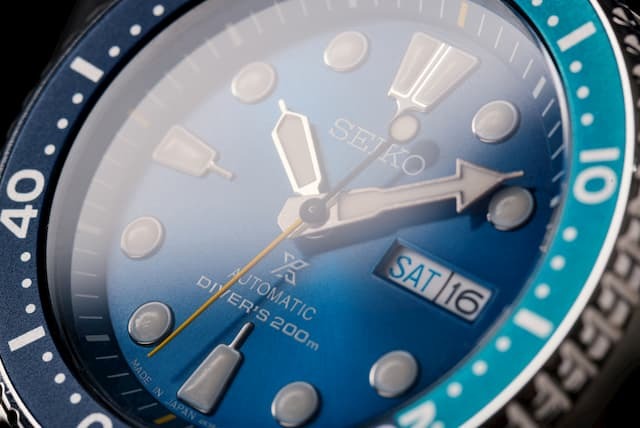 What makes Seiko diver’s watch models even more desirable is that although the brand is synonymous with high quality, they are very budget-friendly and within reach for most watch enthusiasts. Seiko has made its name a strong contender for watch brands. It features very reliable movements for all kinds of timepieces. From auto, skeleton, solar-powered, and Kinetic watches, they have their movements made in-house, by Seiko themselves, not by third parties. It shows a complete sync for the body and heart of a timepiece, achieving integration and devotion to quality, which Seiko represents. LumiBrite technology is one of Seiko’s most notable innovations. It is an eco-friendly, safe, and longer-lasting luminescent paint devoid of the previous radioactive paints used in watch lume. Read more here! Hardlex glass is also widely used in most Seiko products. 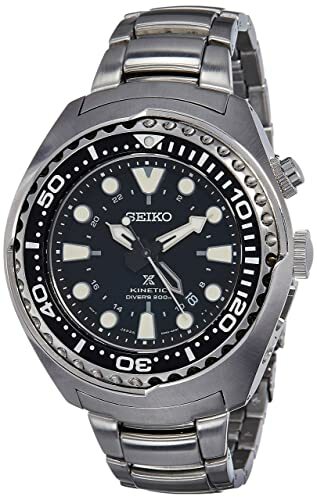 This provides the resistance of their timepiece to scratches and knocks, making most Seiko dive watches highly-adaptive to outdoor adventures and dives. It’s a kind of mineral glass, but with extreme toughness. For Seiko’s 130 years of providing quality and functional timepieces, they have provided a solid foundation as a reputable brand. As proof of that innovation and quality, their diving watches are backed with ISO 6425 certification. This certification is an international standard for a series of strict and complicated tests undergone for testing the diving capabilities of each timepiece, making sure that they are qualified. The SKX007 is one of the most budget-friendly but high-quality dive watches available and knowing that it comes from Seiko makes it much more reliable. This timepiece has a 200m (660 feet) water resistance, making it suitable for most water sports or adventures that you may have. 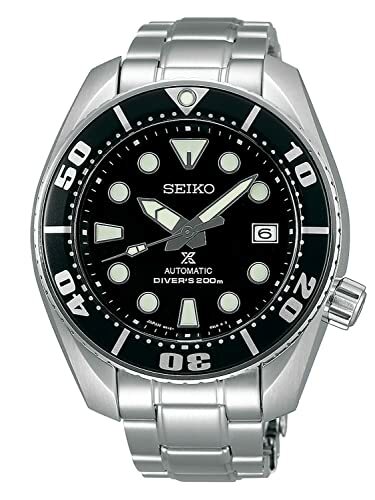 It is also the most popular and bestselling dive watch from Seiko for its quality and budget-friendly price. It dominates most entry-level diver’s watches. A word of advice though is that supplies may not meet the huge demand for this watch, so take it at first sight of a good price, or else it might balloon up to 1.5 times or double the original. The case diameter is 40mm, leaning near the larger side but is not too big; it fits just right for the average person. The case is moderately thicker than quartz watches but is still very comfortable when worn. The unidirectional bezel is made of stainless steel and is relatively easy to turn. Its contrasting black background and white numbers make it easier to read under water & blend in well with the overall look of the timepiece. The bezel isn’t sloped like that of the Orient Mako, making this watch look thicker and increases protection for the dial. This design makes the watch look more solid, rugged, and sporty but reduces elegance and dressiness a bit. Seiko SKX007 is sporty but somewhat still elegant at the same time. The Seiko SKX007 is a versatile timepiece that can be dressed up or down easily. It can go with a wide range of outfits including formal apparel, except for extremely formal ones. The combination of matte black dial & white numerals make it easy to read at a glance, from any angle! Featuring dots for the numbers and a triangle for the 12 o’clock sign, it gives off a playful look for the timepiece. The combination of matte black dial & white numerals make it easy to read at a glance, from any angle! For its internal works, Seiko SKX007 features Seiko 7S26 automatic movement. The timepiece relies on your arm movements and swings to function properly. Do note that it can last up to 48 hours without being used before the watch stops moving altogether. The 7S26 caliber is an entry level yet capable automatic caliber from Seiko. It is non-hackable and has only 21 jewels, having an offset of about 10 – 15 seconds per day. It’s a simple but reliable movement. It has also appeared in many other successful models of Seiko. SKX007 features the LumiBrite technology of Seiko, promoting a safer use of luminescence and a faster exposure time for the timepiece to gather sunlight. This makes it an excellent companion especially when traveling at night because the lume is so bright & long-lasting! Simple but eye-catching design, along with superb reliability & an affordable price tag, those are what make the SKX007 a legendary dive watch & even one of the best Seiko watches of all time. Seiko SRP777 Prospex Turtle is a distinguishable timepiece in that it has a bulky appearance thanks to its lugs. Another affordable dive watch from the Prospex series, (but a little more expensive than the SKX007). The SRP777 Turtle has a simple yet eye-catching design that is easy to see and has an air of overall ruggedness and sportiness to it. The Turtle is actually a remake of the vintage dive watch 6309-7040, an immensely popular dive watch from the 70s to the 80s. It was manufactured for more than 10 years and has become quite a rare find nowadays. Seiko wanted to create a timepiece honoring the classics yet mixing it with recent technologies. With this, the SRP777 was born! A noticeable improvement over the original is the inclusion of drilled lugs on this series. Its use of Hardlex crystal for the dial makes it a strong timepiece for most outdoor activities. It also includes the LumiBrite technology that is a far improvement from recent lume paints used. The case diameter for the Prospex Turtle SRP777 is at 44mm. It is a bit large but fits right in especially when you go diving. (The trend now for men’s watches is 40mm – 44mm, so it’s not too large for average wrist size). I wouldn’t recommend this for people with smaller-sized wrists since the bulkiness of the lug might be too large. However, it generally is a good fit for most people. The bezel is made out of stainless steel. The color black matches perfectly with its overall look and is emphasized by the bulky brushed metal lug of the timepiece. The overall design of the SRP777 Prospex Turtle is bulky and sporty. The color combination of white and black fits perfectly and makes the entire timepiece easier to read, very important of a reliable scuba dive watch. 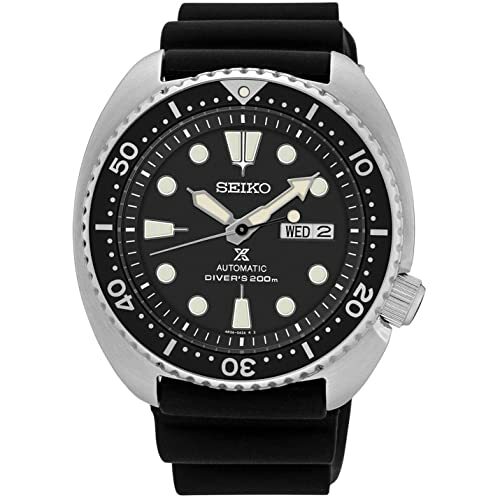 The Seiko Turtle looks somewhat similar to the SKX007, except being a bit bulkier for its larger case and the extension of the lug covering the timepiece. For its accuracy, the timepiece features the 4R36 caliber with 24 jewels. A more complicated caliber than the 7S26, it is hackable and can be hand wound. It has an offset of about 10 – 15 seconds per day. The SRP777 Turtle is one the best Seiko automatic watches thanks to its reliable 4R36 caliber & the vintage design from 1980s. 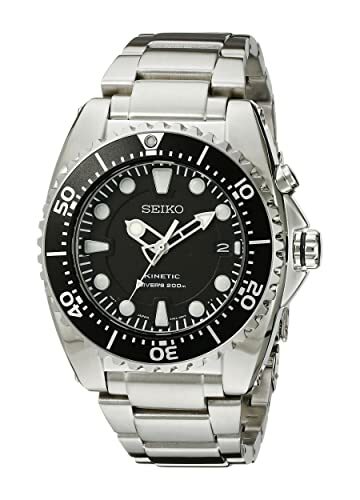 The Seiko Prospex SBDC031 Sumo is more metallic and exudes a semi-formal look while being made for diving adventures. These seemingly opposing traits fit greatly together, making the watch a classy companion on your wrist. The case diameter is 44mm, with a thickness of 13mm. It’s still a relatively average-sized timepiece that can fit most people. The bezel of the Seiko Sumo is very eye-catching, it adds ruggedness to the watch. It features large-sized numbers for an easy glance underwater. The dial is black, a classic color for men’s diving watches to provide easy reading. It’s surrounded with white dots for the numbers, a calendar at the 3 o’clock mark, and triangles for the 12, 6, and 9 marks. The design of the timepiece exudes class and fits most semi-formal gatherings and even formal ones, even though it fits greatly already with outdoor water sports. The beauty and charm of this watch is that it can be worn on various occasions. May it be an outdoor trip, swimming, or even formal gathering. As for its interior accuracy, the timepiece is equipped with caliber 6R15, running on 23 jewels. This has an offset of about 10 seconds per day. Here we see the excellent craftsmanship of Seiko! What else you can ask for from a sub $1000 automatic watch? The caliber 6R15 is a bit different from the 4R36, it has better specs with regards to its power reserve (up to 50 hours)and offset per day. It is self-winding and can be hand wound if you prefer. The 6R15 caliber is the heart of many high end Seiko dive watches now. Seiko Prospex SSC017 is a beautiful and elegant diving watch. Featuring a stainless steel case and bracelet, it gives an air of formality and sportiness at the same time. As a solar-powered timepiece, it can be recharged with just an ample amount of sunlight and store enough energy for up to six months of continuous use. With a case diameter of 44mm, it is also moderately-sized and can fit most people. The case thickness is 14mm, a bit thicker than the typical quartz watch. It may be too thick for some, but it still fits nicely when worn. The bezel has an attractive color scheme. Its tone is black with a bit of blue on the 12 to 3 mark. While black is a classic color for men’s dive watches, a portion of blue doesn’t change this overall feel, but it adds a modern and sporty style to the watch. You can find this type of combination in a lot of Seiko bestselling dive watches! The dial is black, well protected by a durable Hardlex crystal resistant against shocks and scratches. Circles represent the numbers on the dial, with a trapezoid on the 12 o’clock. There are also three subdials on the timepiece, each serving their own purpose. These subdials are not only for chronograph functions, but also the main design cues that make the watch look more aesthetically unique. Subdials is not something new, but Seiko knows how to combine & make them more eye-catching. The design of the Seiko Prospex SSC017 is classy and sporty at the same time. The stainless steel gives it elegance while the build of the case and the dial gives it a sporty look, so it fits both semi-formal events and outdoor adventures. Rivaling the Swiss counterparts, Seiko’s timepieces offer quality in their innovations. The interior accuracy of the watch is determined by the V175 solar powered quartz caliber. It is comparable to quartz movements and has an offset of about 15 seconds per month, a reliable and accurate movement for the timepiece. It also features a screw-down crown to avoid any water from getting in when diving, lots of quartz dive watches just have push-pull crown and this is definitely not a good design. The watch has an energy depletion warning manifested by moving in 2-second intervals and an overcharging prevention function helping it remain safely charged. The Seiko SNE107 gives a strong impression at first glance due to its silver case and bezel with the black dial. The rubber band is also a good combination as it really gives an outdoor look for the timepiece. The case diameter is 42mm, perfect for people with small and moderate-sized wrists. For the case thickness, it’s also thinner than typical quartz diver’s watches. This makes the Seiko SNE107 a great find for those who dislike bulky and large timepieces. Its bezel is very eye-catching & unique-looking, you can’t find many dive watches which have the same bezel design like the SNE107. Its all-silver tone blends well with the case and the lug, with its edges being the defining areas of its look. The dial is then a contrasting black against the stainless steel bezel and case. The hour markers are very easy to read as they are large. The hours are marked with dots, with the 6, 9, and 12 markers being trapezoids and the 3 o’clock window showing the day and date. The Seiko SNE107 has a sporty but still elegant design. The silver tone of the case adds dressiness to the watch, and the rubber band makes it look rugged and fitting for outdoor adventures. It is an attractive contrast of black and silver. The interior accuracy for the Seiko SNE107 is guided by the V158 caliber. It has an average loss/gain of around 15 seconds every month, acceptable for a quartz timepiece. The solar-powered battery can store energy up to 6 months after fully charged. The energy depletion forewarning helps alert you on its low power. The charm of Seiko SKA371 lies in its sleek stainless steel look that makes it an eye-catching timepiece. Its simple metallic design and black dial give it a classic look, while beating inside is a Kinetic caliber which uses Seiko’s latest technologies. The case diameter is just 42mm, making it a good fit for most people. But the watch looks bigger than its actual size thanks to the big lugs. The Kinetic movement also adds bulk so its thickness at 14.8mm may be a bit uncomfortable. It may be a bit heavy, but if you want a solid feel, then this watch is a good choice! The dial may be a bit small due to the bulkiness of the stainless steel bezel and its small case size. But it’s not so small that you can’t read easily. It also doesn’t look busy, just 3 hands and hour markers, a good choice for minimalists. Because the entire timepiece shines in stainless steel, the bezel fittingly dons a black color with white dot markers and numbers at the 10, 20, 30, 40, and 50 minutes. A lumed dot rests embedded in the 12 o’clock marker. Beating inside is the Seiko 5M62 Kinetic caliber, with a loss/gain of about 15 seconds per month. It relies on your arms like auto watches, but in a different way. It takes in your swings and converts it to energy by storing them on a quartz crystal. The Seiko SKA371 is a charming stainless steel timepiece that attracts attention with its classic feel. It fits most wrist sizes but may be a bit thick. This Seiko 42mm diver’s watch is built for those who love a solid feeling on their wrist. The Seiko Prospex SUN019 is a seemingly monolithic-looking diver’s watch. With its almost all-stainless steel appearance, it gives off a feeling of ruggedness despite being a classy-looking metallic timepiece. The case diameter for the Seiko Prospex SUN019 is massive at first sight. At 47mm, it is the largest in our list. However, don’t be fooled by this as it may come off appearing smaller than it is. The thickness is at 15mm, quite thick but measures up to its size. As it may be a bit large, this is best for people with medium to large-sized wrists. As for the bezel, it is made of stainless steel and painted black. The 10, 20, 30, 40, and 50-minute areas are shown with numbers and are painted white for visibility. Most users have no problem with the bezel and praise its ease of use that is also hard to accidentally move. The dial is matte black. Protected by a synthetic sapphire crystal, not Seiko Hardlex glass. Sapphire is more scratch-resistant, but also more brittle. The look of the dial complements with the black bezel to contrast the silver case and band. The design of the Seiko Prospex SUN019 can be seen as monolithic or bulky for its size, design, and weight. The charm for this, however, is that as it is classy as a silver timepiece, it also exudes the ruggedness and sportiness fitting for most outdoor activities. The Prospex SUN019 runs on the 5M85 hybrid Quartz automatic movement. It combines the movement of the arms for kinetic energy, and then utilizes this energy for storing in a quartz crystal. This type of movement won’t use batteries and is also very reliable! With an offset of about 15 seconds average per month, this 5M85 Kinetic caliber is a good and reliable movement that is well within the bearable losses/gains for the timepiece. This big Seiko dive watch if suitable for those who want the emphasize their style on masculinity & ruggedness. Why did Seiko dive watches become one of the best choices out there? To make it clear, we should take a look at this company’s timeline to know about their achievements & where their admirable craftsmanship comes from! Seiko began its journey in 1881 when a young entrepreneur named Kintaro Hattori started the watch and jewelry shop K. Hattori in Ginza at the center of Tokyo. From then up until now, three generations of the Hattori family have dedicated to perfection what Kintaro was always aiming for. After eleven years since the shop was established, Kintaro started a factory and produced clocks with the name Seiko-sha, which meant “House of exquisite workmanship”. According to Seiko’s official website, Seiko is a Japanese word which means “exquisite” or “success”. The 1890s saw the success of this new company in the line of wall clocks so Kintaro decided to expand his product range. In 1895, he created the first pocket watch which marked a milestone in the history of not just this brand, but also to the entire Japanese wrist watch industry. Produced in 1913, Laurel was the result of Kintaro’s determination and extreme hard work. It is also the first wristwatch of Japan which paved the way for a new era of watchmaking in this country. This particular timepiece had a silver case with the diameter of 2.6 mm and a porcelain enamel dial. This is believed to be the first watch under the official name Seiko made in 1924. With this Japanese name, you can see Kintaro’s ambition, hope and confidence in his watch because at that time, people held a strong belief that Western products were of superior quality. Seiko launched this watch as its signature piece, making it the most accurate and precise watch in the world. It is a mechanical watch with the Caliber 3180, measured 12 lignes (1 ligne = 2.2558mm) and had 25 jewels with a frequency of 18,000 vph. Each grand Seiko watch was certified with an original standard from Seiko. It is notable that today, this standard is even stricter than the Swiss agency COSC’s standard for certifying chronometers. They created the first portable quartz chronometer in the world, QC- 951. On Christmas, Seiko introduced the world’s first quartz watch, Seiko Astron. It is considered as one of the watches that changed the history of the industry. Although there had been a quartz wristwatch prototype in Switzerland, Astron is the manifestation of the new trend of manufacturing quartz wristwatches. Seiko introduced the world’s first digital quartz watch with a chronograph, the 0634. In this year, the timepiece maker also launched the world’s first dive watch with a titanium case. This dive watch was inspired by a professional diver’s letter from Hiroshima Prefecture in 1968. The letter told the engineers about the stress and strains which a watch has to face underwater. After 7 years of thorough research, they released the Professional Diver’s 600m. It is quite surprising that neither Apple nor Samsung made the first steps in creating high-tech watches but Seiko. In 1983, they made the world’s first TV watch, T001, and then the world’s first watch recorder, the M516, and after one year, the first watch with computer functions, the UC 2000. Seiko succeeded in making the first computerized dive watch, the ScubaMaster M726. Why did my Seiko solar watch stop? Seiko solar watches are powered by direct or indirect light from any sources, making them the least energy consuming models in the market. However, sometimes, your Seiko solar watch can stop dead after a while. So what is the reason? A Seiko solar watch needs to expose to either natural or artificial light from time to time to keep it up and running. Seiko recommends users to have their solar watches charge by sunlight at least 5 to 6 hours per month. In autumn and winter, when the sunlight weakens, it is likely for the watch to run out of energy. Even when you wear your watch and try to expose it to artificial light, it is hard for the watch to get power under long sleeves. So, don’t be surprised if your watch suddenly stops working. During the dark days in autumn or winter, it is better to let your watch rest somewhere under the light. There are three things Seiko is famous for: Japanese Quartz, Spring Drive, and Kinetic movement. Kinetics, also known as automatic movement, is renowned for not only for its affordability but also for environmental-friendliness. Regarding the function, Seiko automatic watches are excellent. The watches produce energy through wearers’ wrist movements. Seiko automatic line of products is a quick response to the eco-friendly trend. In term of quality, Seiko watches offer elegant, classic styles within your budget and taste. From around $200, you could find a Seiko watch that is either hi-quality and wallet-friendly too. Seiko has built its prestige and loyal fan base with its superior quality. 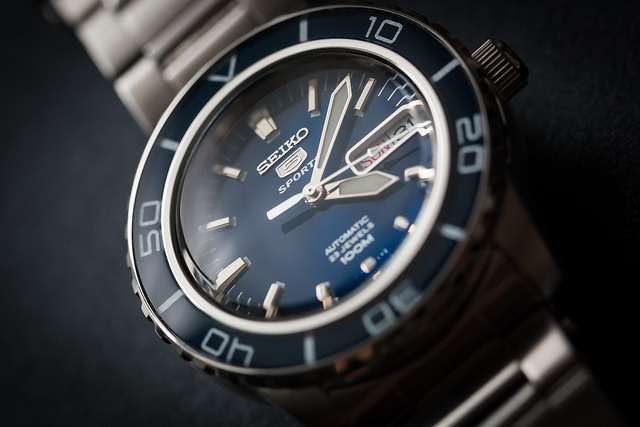 When it comes to Seiko automatic watches, you probably have heard of Seiko 5. This is the first line of automatic items. Seiko 5 is also the oldest sub-brand compared to other lines of production. Seiko used to introduce quartz models in early 1980 with the 5 logos; however, they didn’t apply the same standard. Modern Seiko 5 adopts 7s calibers for energy storage. Seiko was initially a small watch and jewelry shop in the central of Tokyo owned by Kintaro Hattori when he was only 22 years old. After seven years in business, Kintaro decided to established the “Seikosha” in 1982. Seikosha has a beautiful meaning in Japanese. Seiko means exquisite, and also a success, while sha means house. The name has set the principle for every watch Seiko has ever produced: elegance, and quality. Is Seiko better than a citizen? Both Seiko and Citizen are known as affordable, high-quality watch markers in the field. When it comes to comparison, it is hard to say whether Seiko is better than Citizen or the opposite. Seiko’s lines of production focus on quartz, solar, automatic and mechanical models. The great thing is you can find a suitable watch within your budget. Recently, Seiko has introduced Grand Seiko, which is a high-end luxury brand. Established in 1982, Seiko watches stay true to their core values and principles. Seiko has been the pioneer in quartz movement as early as the 1960s. They also the creation of the first-ever chronograph could be used either as a stopwatch of display one. Citizen isn’t less impressive. Founded in 1918, it took only six months for their pocket watch to be widely accepted. Unlike Seiko, Citizen sticks with innovation and uniqueness. What’s Citizen famous for? Eco-drive watches that absorb both natural and artificial light. Other than that, Citizen also offers a chronograph feature, moon phase, and other exclusive functions. When standing between Seiko and Citizen, please ask yourself “which watch model do I prefer?” No question about the quality of both Seiko and Citizen; however, Seiko is a bit more luxurious while Citizen is generally more affordable. How long will a Seiko solar watch last? Seiko solar watches require around 3 hours to fully charged either under sunlight or artificial light. After that, Seiko solar watches can reserve the power up to 6 or 12 months depending on each model. That means, within the reserve power period, the watch can still function even in darkness. 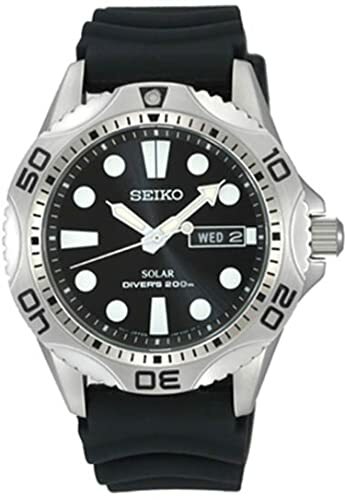 In this list we discussed the best Seiko dive watches currently available in the market. These are all top-rated timepieces assembled from various customer feedbacks regarding each product’s specifications and performance. 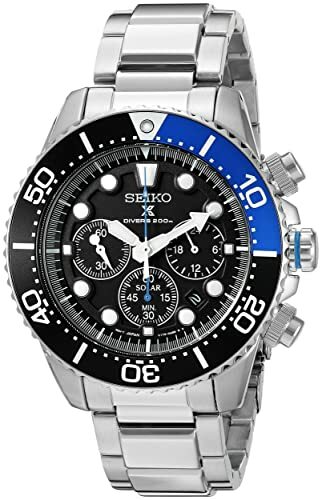 It is also true that these watches are not just the best from Seiko, as in fact, they can even be labeled as among the best affordable dive watches out there.